Consecutively distinguished by World Travel Awards as “Europe’s Leading Golf Destination”, Portugal really has established itself very quickly as a top class golfing paradise. Golf is a game of confidence, competence and mental discipline, and has unique demands. Reasons why it is mandatory that golf courses are in excellent condition, offering challenges for both novice and advanced golfers. In Portugal there is a mix of nice old and great new golf courses, all of which designed by international architects in naturalistic landscapes. Impeccably maintained with fairways, greens and bunkers in immaculate conditions. 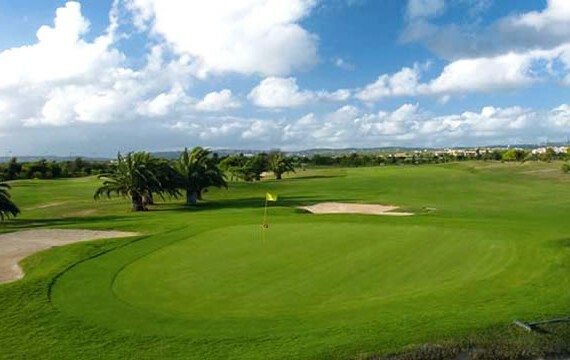 Portuguese golf courses are spread throughout the country but located either at a short distance from one another or near the ocean and the main beach resorts, so you can vary your course experience and your choice according to your mood. And, in addition, you may golf in the morning and loosen up in the afternoon on the beach or by the swimming pool. Portugal is one of the most popular golfing centers in Europe and women golfers and couples are the fastest growing segments. More and more, women and couples are choosing Portugal to take up golf while escaping for a weekend together in the sun. 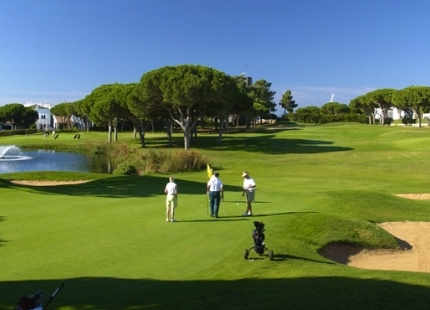 As mentioned, Portugal has established itself as one of the most successful options for golf lovers, particularly some coastal areas such as the southern regions of the Algarve (Central Algarve, Western Algarve and Eastern Algarve), where some of the best national golf courses are located, and around the country’s capital, Lisbon. Its proximity to the airport and easy access to all top attractions makes the Central Algarve region, a prime location for international travelers. 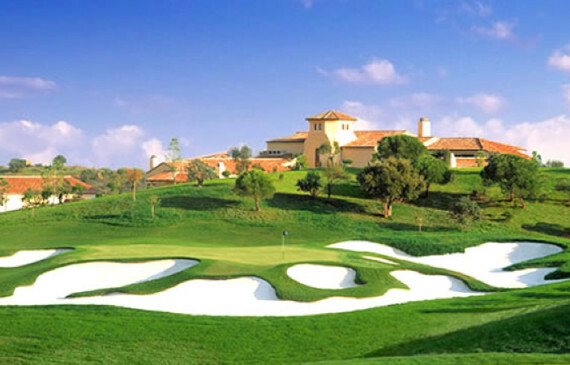 Central Algarve hosts some of the biggest tournaments and golf events, namely the European Tournament Portugal Master’s, that receives the world’s greatest golfers since 2007, in an exquisite golf course project of Arnold Palmer, the Oceanico Victoria Golf Club (Vilamoura). Just above the ocean, the golf course is the centerpiece of a luxury golf resort where endless comfort and flawless service are presented to you, daily. 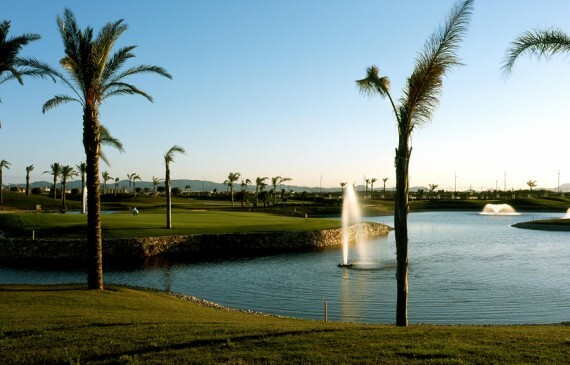 Annually this course is upgraded and improved, it is a real pleasure to play. 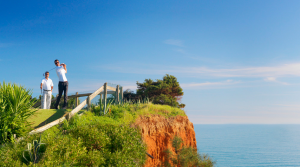 Located in the Central Algarve region, the ”Golden Triangle” area is one of the most luxurious areas in the Algarve and has some of the most iconic golf courses in the region. To top it up, Quinta do Lago just gained a brand new golf course in 2014, redesigned by the prodigious architect Beau Welling in straight cooperation with the European Ryder Cup captain, Paul McGinley. The new golf course, the North Golf Course, is ranked among the finest in Europe, and will serve the golf population in Portugal as well as hosting international competitions. There are several golf courses in the area, and holiday accommodations to suit everyone (furnished, equipped and decorated to the highest of standards). Still, one of the most notable courses in the region is, without a doubt, the Monte Rei golf course. Set in the picturesque foothills of the Eastern Algarve with an amazing design from Jack Nicklaus, this golf course offers a truly unique experience that you are bound to never forget. 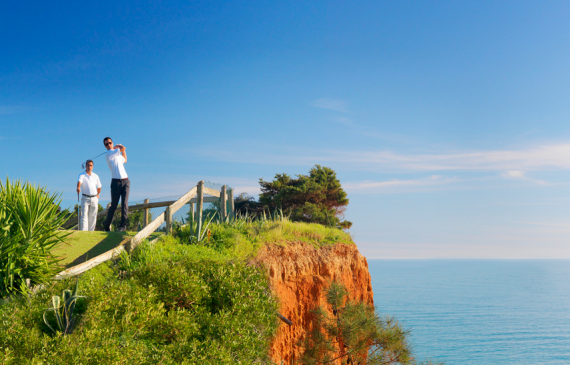 High amounts of sunlight and scenic views make of the Western Algarve, an incredible golf location, prized by many. With an exceptional environment and the ocean in the horizon, the Onyria Palmares beach course is one of the most spectacular golf courses to play in this area. Designed by one of the most experienced golf course architects in the world, Robert Trent Jones Jr, it is already one of the major references in Europe. 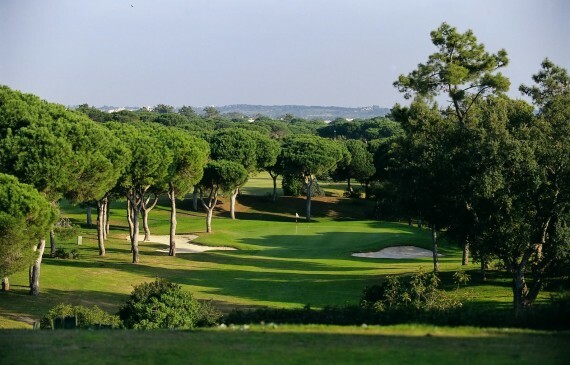 With several championship-standard courses within a 20-minute drive from the city center, Lisbon is a well-known international circuit for all golfers. One of the favorite courses in the capital is the Belas Golf Course, designed by the famous golf architect, William “Rocky” Roquemore, on the request of André Jordan, an undeniable reference in the area of luxury resorts and real estate. With spectacular scenery and endless fairways, the Belas golf course is a top choice for both local and international visitors. Even though Portuguese courses are the most verdant and alluring ones, truth is, golf requires other essential equipment and helpful items that make your game a little easier. In Portugal, you will find the trendiest golf shops fully stocked with all the latest products available on the market (golf balls, golf bags, golf shoes, golf apparel and other equipment) as well as each and every world’s top golf brands. Guaranteed to meet all your needs, whether you’re a casual golfer or a pro. With more than 80 quality golf courses within the country and fantastic weather all year round, Portugal also has a lot to offer outside the greens: exquisite food, unparalleled wine and breathtaking landscapes (many of which with ocean views), as well as premier golf destinations for locals and travelers from across the globe. With daily direct flight connections to all the main European cities, which are key for its success, Portugal has consolidated itself as one of the best golfing destinations in the world. It is dynamic, safe and affordable, and the golf courses that you will encounter across the country are sure to exceed your expectations!